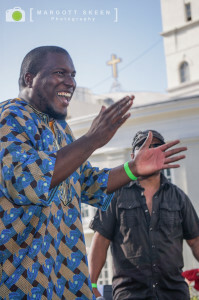 There is a phenomenally talented generation of Cuban musicians, including some who have not yet reached the age of 30, who are demonstrating to the world the truest, most dynamic elements of Cuban music that are far, far away from the nostalgic sounds of the 1950s that people often have associated from the genre. Smolderingly sensual, wickedly witty, and smartly provocative, today’s Afro-Cuban music – rumba, folklore, danzon, cha cha cha, mambo, son and timba – is a virtuosic expression with enormously significant cultural relevance to street life in Cuba and in the United States. 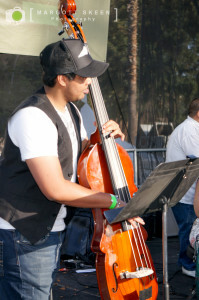 Yosmeil Montejo, bass, AC Jazz Project. Photo by Margott Skeen. In particular, timba’s roaring success in recent years arises from acknowledging that unlike other popular forms of music – which normally are propelled by professional musicians with limited training – timba is guided by musicians who have had first-class training at outstanding music schools and conservatories. It captures the rawest, best elements of popular street and barrio life in electrifying dance music that is composed and arranged within the range of some of the most sophisticated musical skills and techniques. It may be the most viscerally successful example of how so-called serious classical and popular music forms are blended together in a way that is culturally relevant and important to everyone. That said, timba is one of the most difficult, technically demanding forms of music out there today. 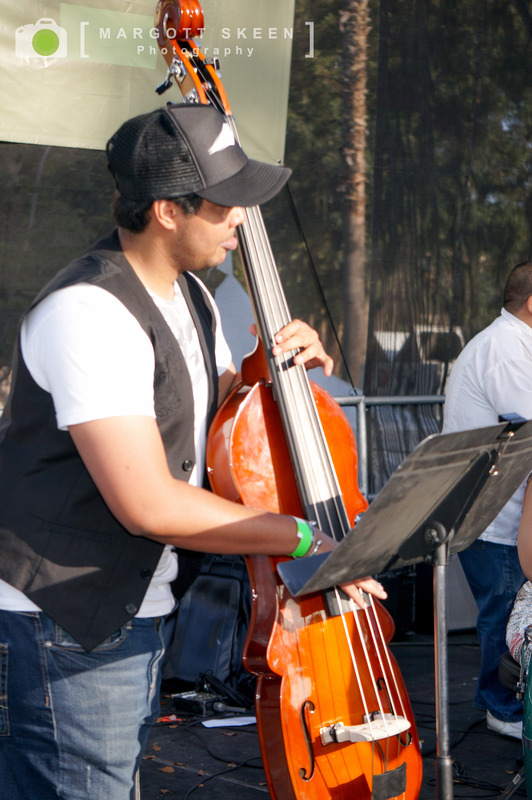 Festival audiences will see musicians who command a remarkable set of skills and techniques. Of course, the reward will pull audiences from their seats and dancing in front of the stage and in the aisles. Trumpeter Josiel Perez is one of the standouts from this new generation of original Cuban musicians. He is now composing and arranging for the AC Jazz Project, which was created in 2001 by the late Jazz Rumbero Juan “Long John” Oliva a.k.a. “Penalti” and which is now coordinated by his widow, P.J. Oliva. 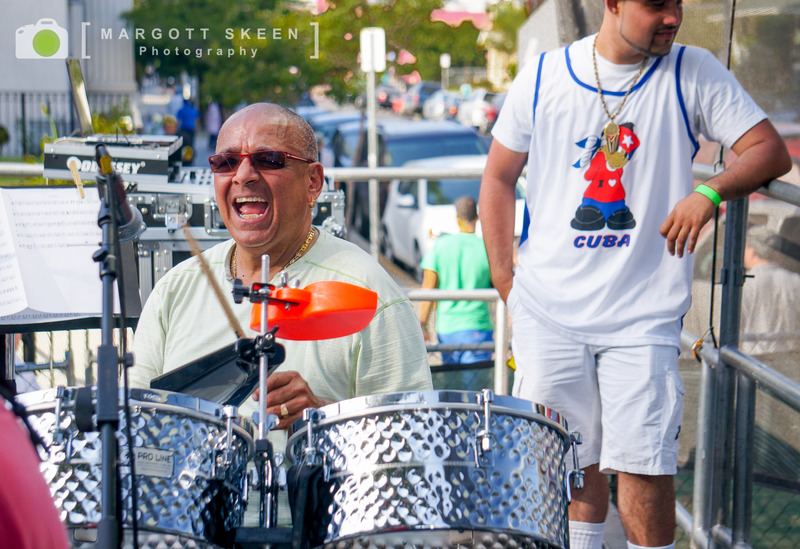 Calixto Oviedo, drums and timbal, AC Jazz Project. Photo by Margott Skeen. Born 28 years ago in Cuba, Perez took to musical roots that run deep with a grandfather and uncle who were accomplished musicians. 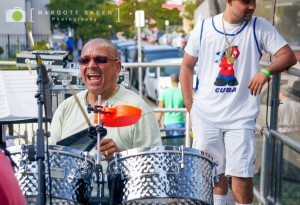 The young Perez graduated from Havana’s top arts school and was already performing with many of the best known musicians in Cuba and the Caribbean region. He played with the legendary Orchestre Klimax and, at 24, toured Europe as 1st trumpet performing at international jazz festivals with Orlando “Maraca” Valle, one of the world’s best known flautists and bandleaders. He landed in New Mexico where he studied with music colleagues, exploring ways to blend in soul and other genres with his music while playing lead trumpet and writing for Enjoy which brought together musicians who also had graduated from the same school as he did in Havana. Soon afterward, he moved to Los Angeles, where he joined with the AC Jazz Project, which includes Maraca, Grupo Afro-Cuba, NG La Banda, Cuba L.A. and Opus. Fermin Sifontes, keys, AC Jazz Project. Photo by Margott Skeen. Perez’s musical knowledge is exceptionally encyclopedic and mature for such a young artist. 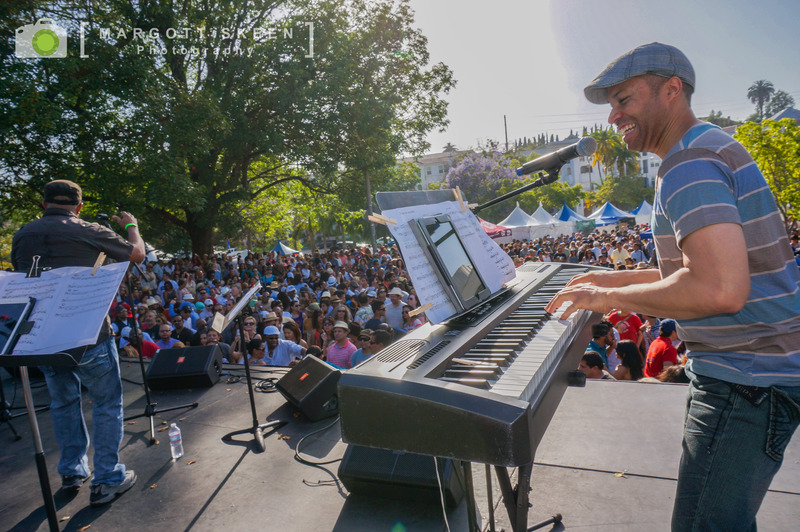 “We incorporate everything not just from the great Cuban masters but also from Brazil, jazz, classical, such as Rachmaninov, rock, R&B, soul, hip-hop, funk, everything,” he explains in an interview with The Utah Review. Whenever an idea hits him, he reaches for a scrap of paper or his smartphone to capture the spark that will become part of the band’s incredibly driving musical force, as evident in Conga Buena. When not performing or composing, Perez maintains a teaching studio, enthusiastically reaching out to kids who today are the most well positioned generation for seeing why music does not have to be forced into restrictive categories. Perez is joined by musicians who are among the best known gig and session musicians in Los Angeles and the surrounding area. They include Yosmel Montejo, bass; Calixto Oviedo Mulens, drums and timbal; Santiago Santiuste, congas; Fermin Sifontes, keys; Joel Nunez, sax, and Julio Cesar Bouza Hernandez, lead vocals.